Drag the following widget icon into your section to add the widget. 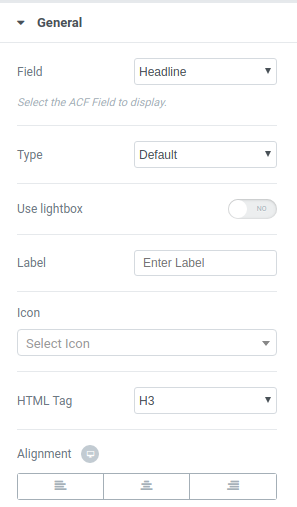 After adding the widget to your section/column the following settings are shown. 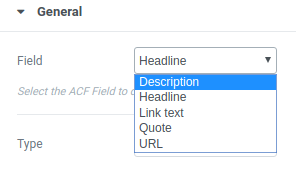 The fields you can choose from are found in the dropdown next to the setting “Field”. The first detected text field is chosen automatically.